Today I started removing rivets with a sledgehammer and chisel. 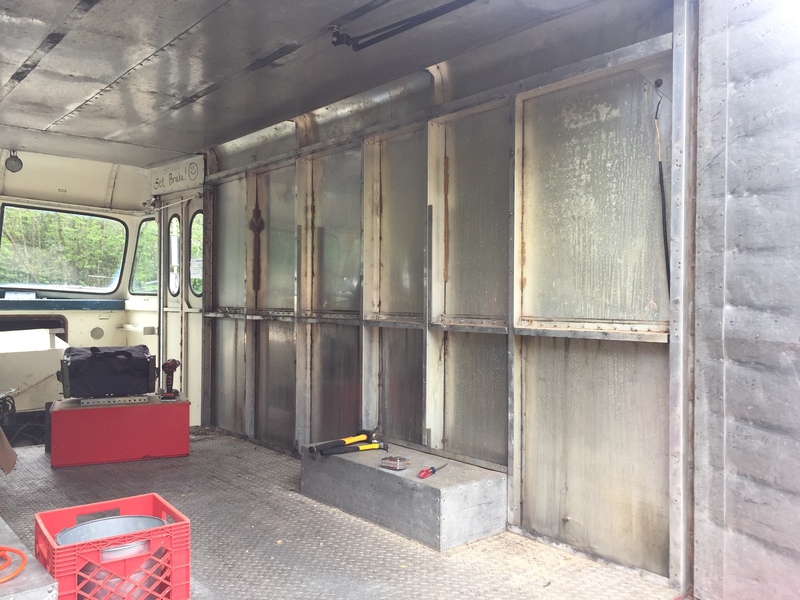 Hundreds of rivets… Thousands of rivets… Roughly twenty minutes per panel so far. Some of the aluminum panels are almost twelve feet long. I’m not sure whether there’s enough scrap value to avoid going to the local recycling center. And while the wear and tear is certainly interesting, there are too many non-rivet holes so reuse them as finished cladding even if they were buffed out. But I’ll number them and keep them around for a while. 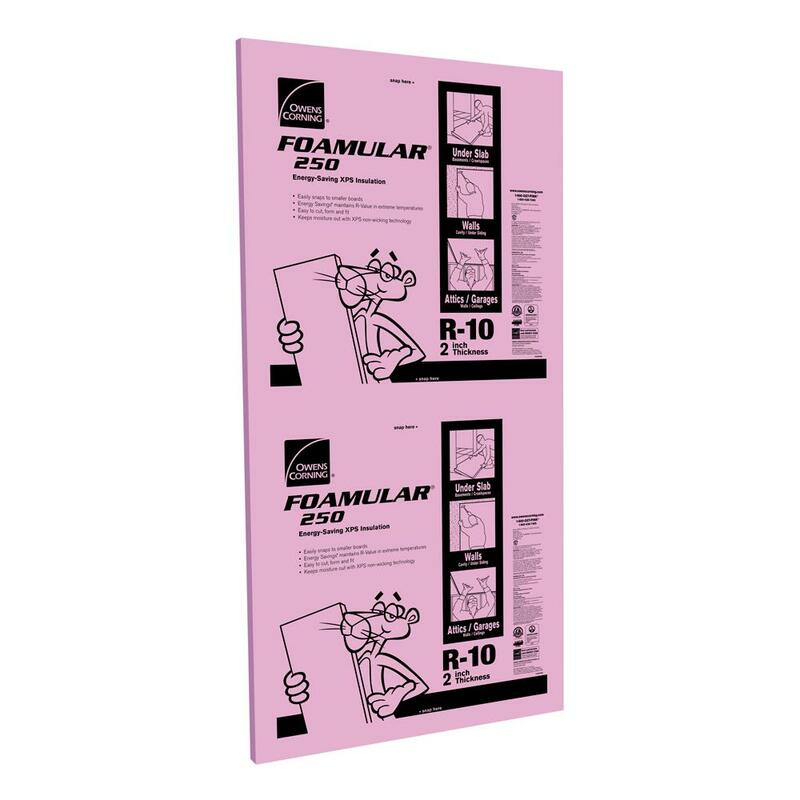 The wall cavities measure 3-1/8 inches deep, which is plenty of room for better insulation. But it also means the windows will have to be recessed because they max out at a 2-3/4 inch depth. Starting to look like a tiny home, eh? Today was the day. 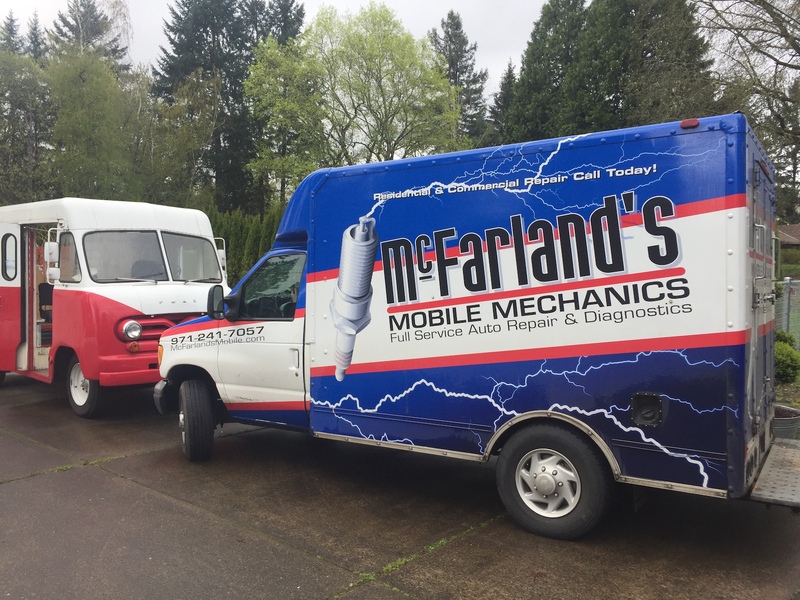 It took Brett from McFarland’s Mobile Mechanics six hours to remove the patient’s still-beating heart with his bare hands (and a cherry picker). This process was complicated by the fact that several bolts and two steel panels were rusted together and had to be cut. But at least now I have most of the cockpit panels off, where I can strip and repaint them, and replace any rubber seals. When it’s all done, all the bolts will be shiny new and stainless steel. The damage for today: $729.34, including transport. And yes, I started a ledger to keep any eye on my investment. 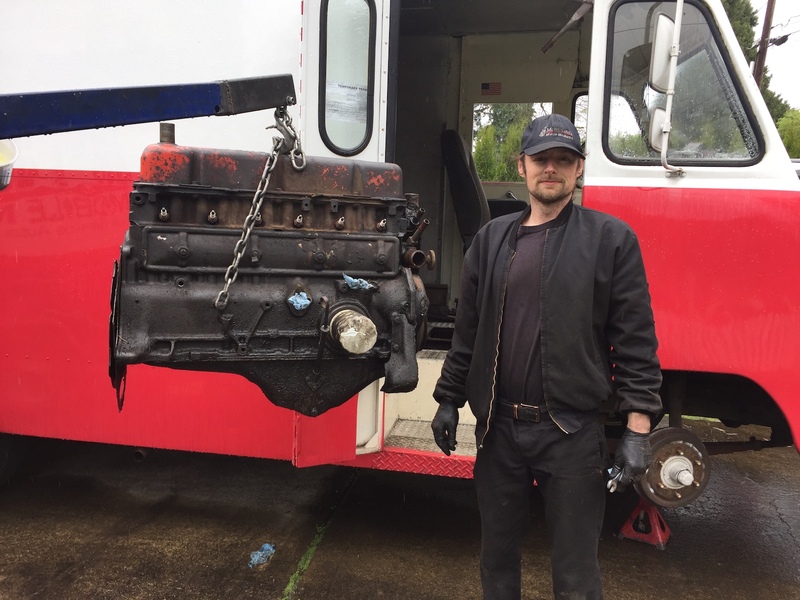 Brett’s tow truck guy delivered it to Portland Engine Rebuilders where Ron took my $500 deposit and put it on his schedule. We discussed the option to find a rebuilt Ford 292 Y-Block but I decided to just rebuild the original 223 after weighing all the pros and cons. It would mate to the existing transmission. But the extra horsepower would only make a difference in uphill speed at the expense of fuel economy. And it would basically double the cost of this retrofit to change all the mounts, the exhaust system and so on. It would also be a larger engine, which would make it harder to access for maintenance. So, the rebuild is expected to take three weeks, which is pretty amazing. And the purist in me likes the idea of just restoring the original configuration — at least for the cabin and chassis. There will be plenty of custom add-ons so the size of the engine ultimately isn’t that important as long as it’s reliable. 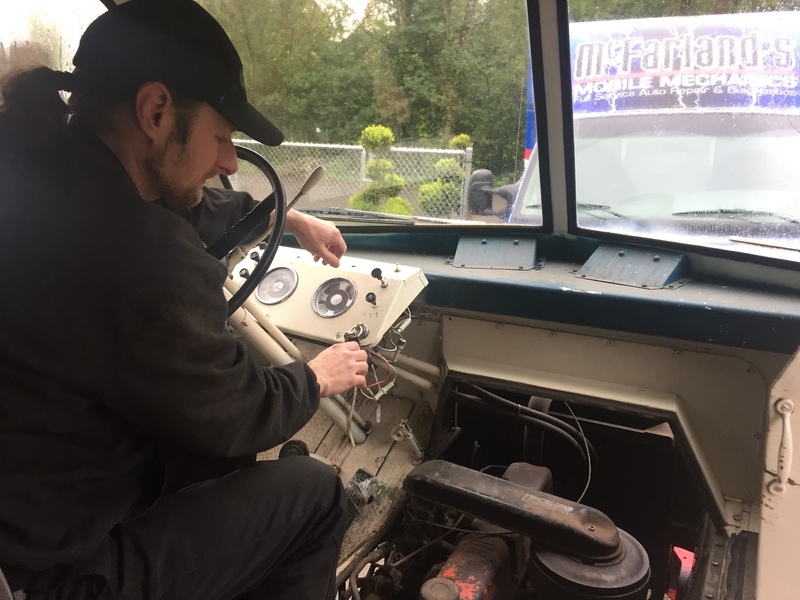 Fortunately Brett gave me the names of a few local NAPA old-timers who specialize in finding the right Ford parts, so I’m not too worried… yet. Such a dome could be mounted (and carefully sealed) over my cockpit. A 36-inch diameter would increase my overall vehicle height by 18 inches. So that means staying very aware about low-hanging obstacles when driving around. Most gas station canopies are tall enough for bigger RVs, so I’m not overly concerned. An air conditioning unit will add some height anyway, but not as much. From the inside, we’d have a great view of the trees and stars. Taller folks would have a comfortable place to stand and a step stool would afford some good 360° observation in case of zombie and/or hipster attacks. 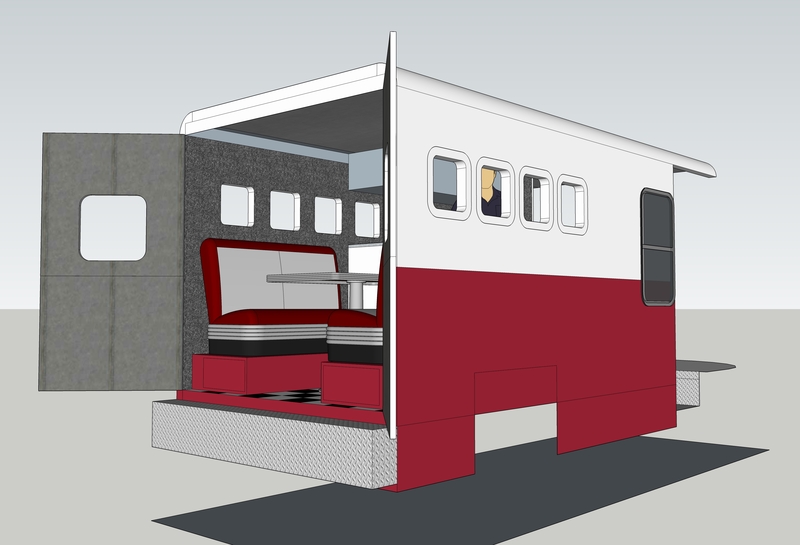 I’ve decided the Scenario Mobile should sport a row of four smallish windows on each side centered above the rear wheels, resembling portholes on a jet or submarine. Remember the Proteus sub from the 1966 sci-fi classic, Fantastic Voyage? They will be 14-inch squares with 2.5-inch radius corners to mimic app icons in the iOS dock on iPhones and iPads. 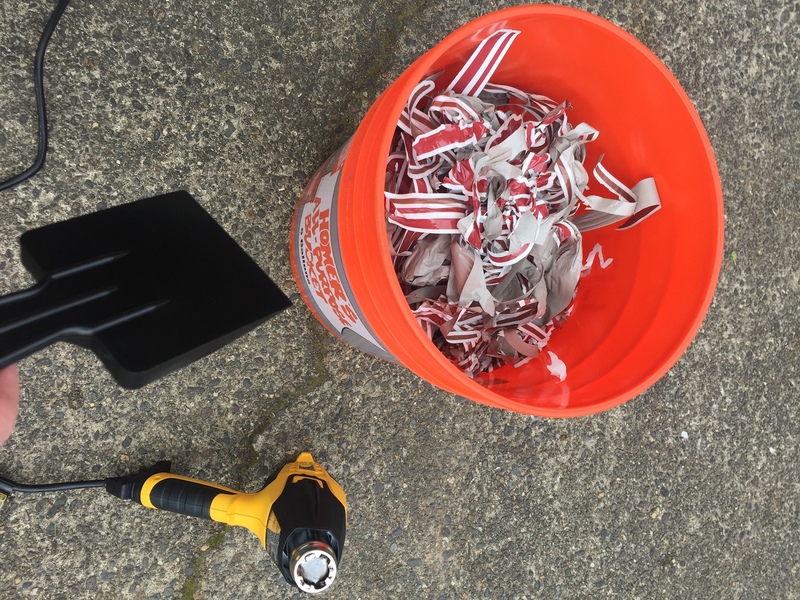 I’ll even label them with “app” title decals that reflect my professional services. I can’t find any pre-fab windows meeting these specs, so they’ll need to be custom made by Motion Windows. 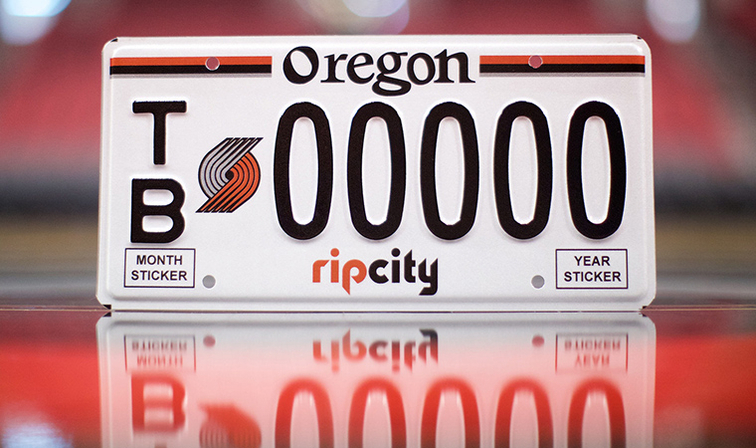 They’re in Vancouver, WA so I can pick them up and save on shipping charges. 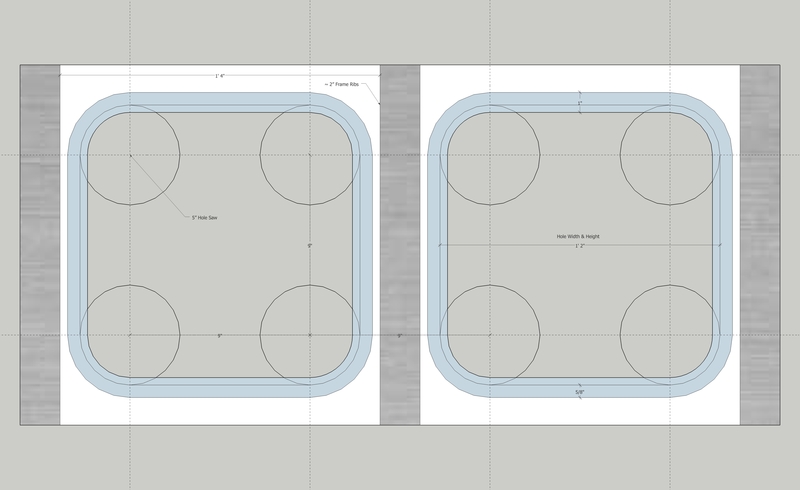 Here’s the hole-cutting template I worked out. This is based on a nine-inch grid to nestle each window between the two-inch frame ribs, which are spaced about 18 inches apart on center. I’ll cut the corners with a five-inch hole saw, and then cut the sides with a DeWalt jig-saw and/or angle grinder. There will be no room for error. The windows will clamp in place, made watertight with gaskets on the outside and inside. The critical dimension here is my finished wall depth. 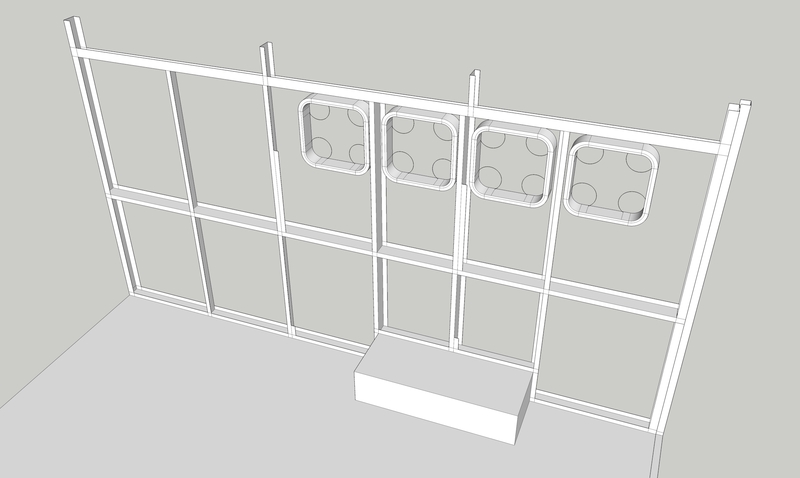 So that means before I can order them I need to remove a few interior panels to expose the ribs, and then decide on how thick my wall sandwiches will be, including the insulation. I’m guessing that depth will be around two inches. I was quoted a cost of $248 per window, or $1,984 total and a lead time of six weeks. 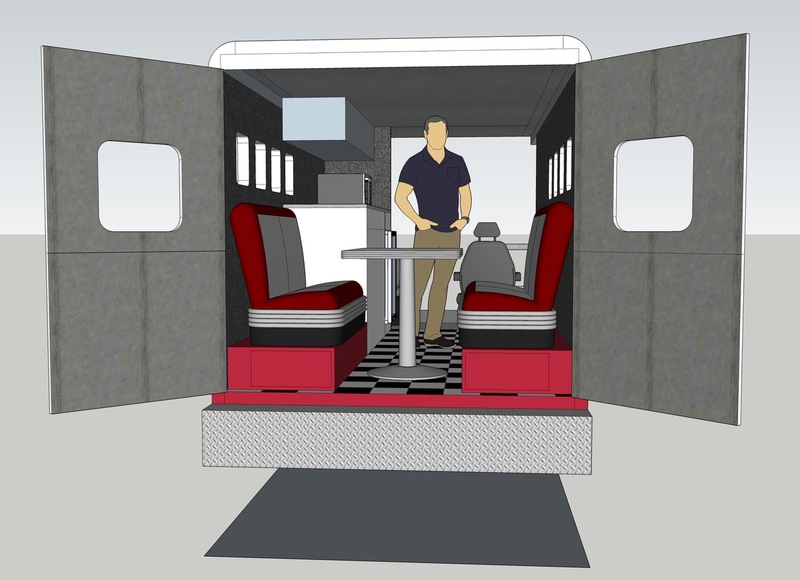 That may seem excessive considering larger off-the-shelf RV windows can be had for under $100. 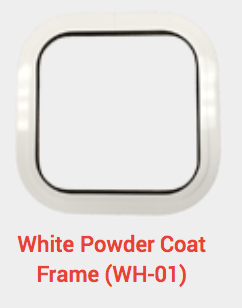 But these portholes would be the most distinguishing exterior features and make for a truly unique design element, completing the theme. To keep the design clean, I don’t plan for these eight windows to open. 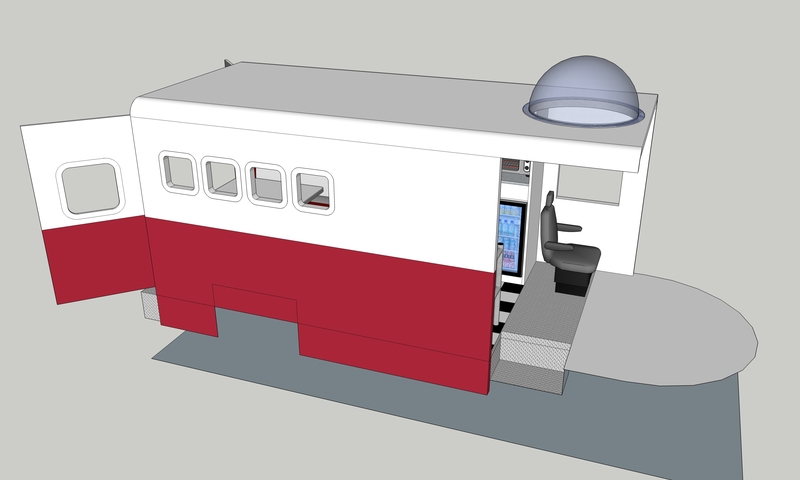 I’ll add vents on the ceiling, and larger stock RV windows on the back doors and behind the entry door later. 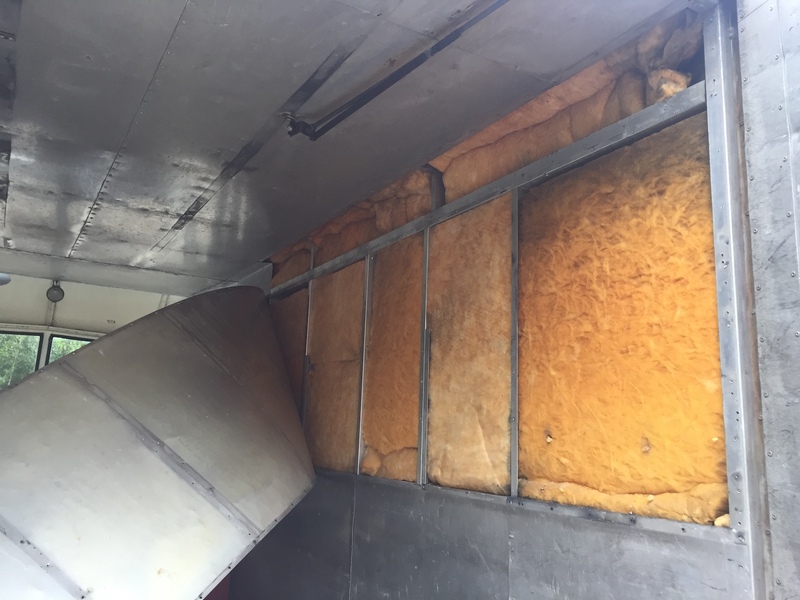 It took a few hours to gut the cargo area completely, leaving only a box clad in riveted aluminum panels that would look like an Airstream once polished up. 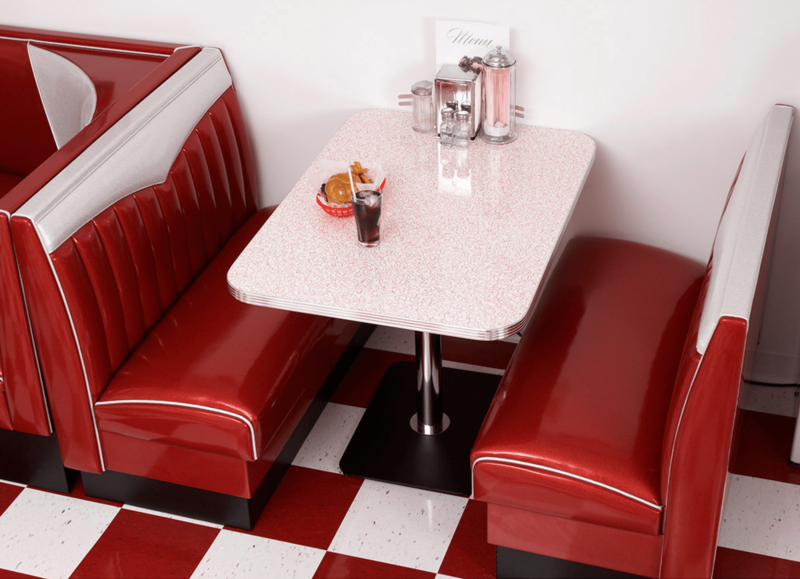 That’s where the diner-style booth and table will go, along with a six-foot kitchenette and passenger captain chair. I went to the DMV and got my title and registration. I convinced the clerk that I’m converting a commercial vehicle to a passenger van, so I was able to get the custom license plates I wanted. Fortunately, no inspection is required for vehicles older than 1975. 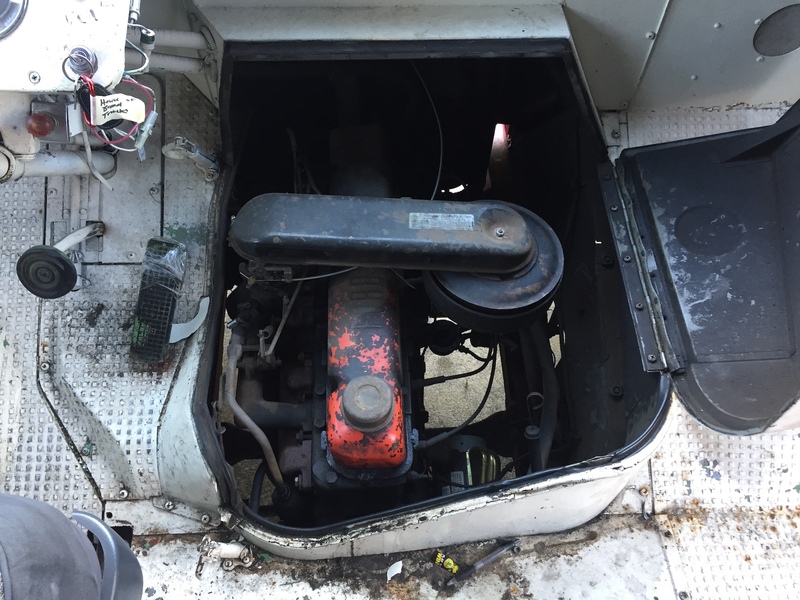 I also spoke to a mechanic in Sherwood about engine and front-end options. He estimated $8K to $10K over three to four months. But he works alone and his shop seems too small for the job. Then I stopped by a place called Van Specialties only to learn they’re booked out 18 months, and they want $1K just to get on the wait list. No thanks. 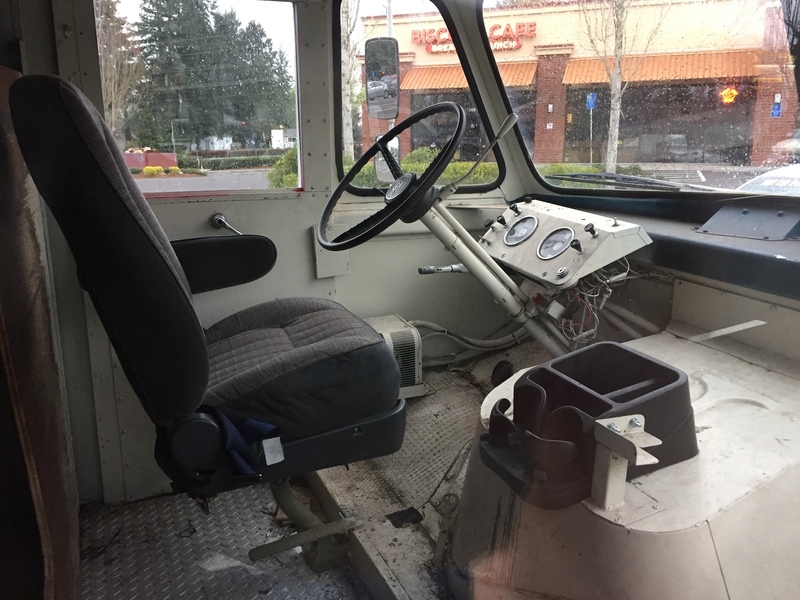 They gave me a referral to a company called RC Display Vans in Portland. They specialize in custom “display” vans for marketing. They do not, however, specialize in replying to emails. 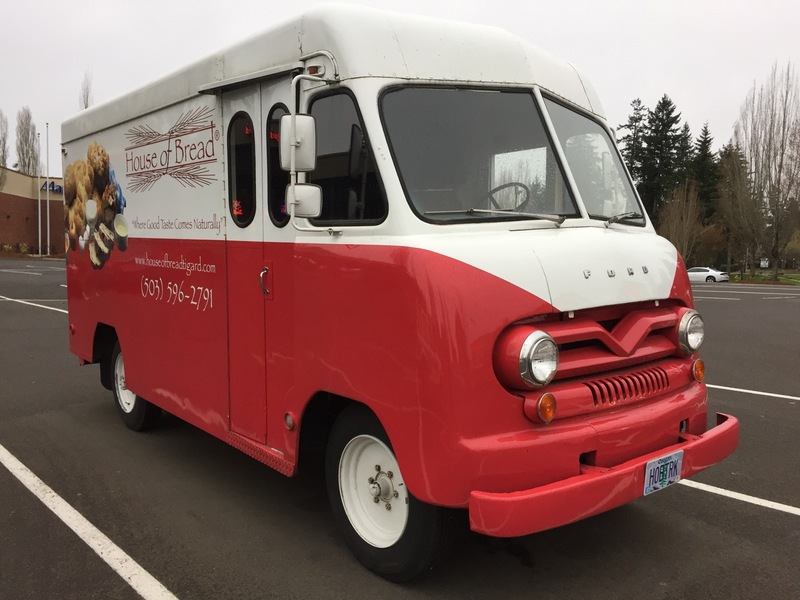 I’m now the proud owner of a beautiful 1961 Ford P-400 Parcel Delivery Van. These beasts were known as “bread trucks,” because so many were used by bakeries. Today they’re known as “widowmakers” because they’re, well, dangerous to drive. 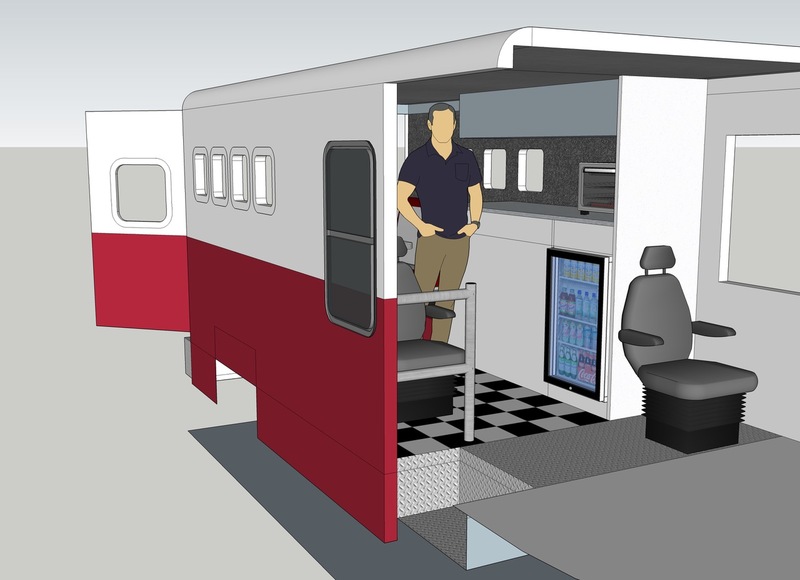 I plan to convert mine into a mobile home office, branded for my mobile software development business. That way it qualifies as a tax deduction under marketing expenses. It’ll mostly sit at home under shore power with an occasional client visit, coding session at the beach, or vintage car show. 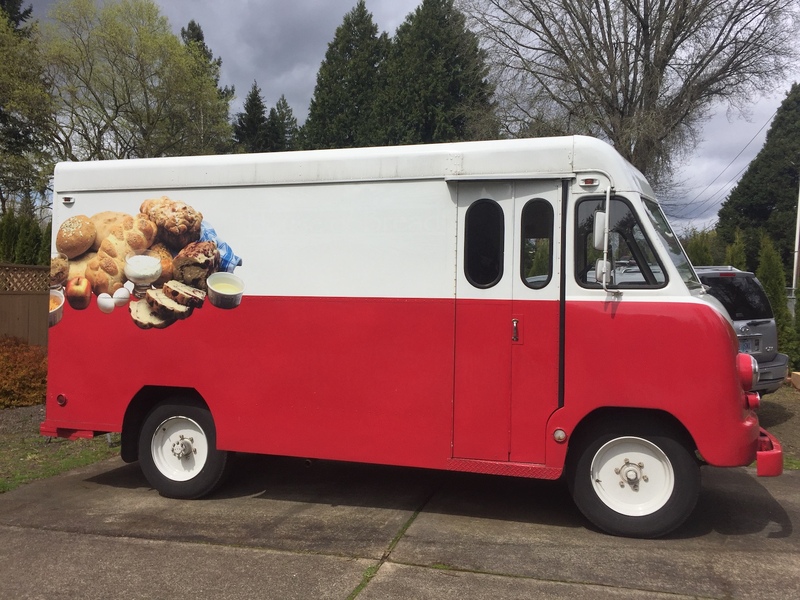 The van was owned by the House of Bread in Tigard, Oregon. Quite by accident, I got word that they were going out of business so I inquired about their parking-lot ornament. Two sleepless nights and a harrowing test drive later, I traded a cool $4,444 for the title. The 56-year-old body and Pantone 201 “maroon” paint are in great shape as you can see. The engine, however, needs to be rebuilt or replaced because it clanks like hell. It’s the original Ford 223 Six, mated to the 3-speed Cruise-O-Matic transmission. This transmission was an original Ford upgrade, and bonus — it was recently rebuilt. The odometer shows ~42K, which means 142K or possibly 242K. If the latter, that would be farther than the moon. I’m thinking about having a bigger Ford engine (their old 292 V-8) dropped in, and the front-end swapped out for struts. Hopefully all for less than $7K. But I don’t know whether that would require a transmission change as well. The cabin (which I’ll call the cockpit) needs a lot of work. It was basically painted by a chimp with a spray can. That’s one of my biggest pet peeves: Painters who are too lazy to mask or remove hardware that shouldn’t be painted. 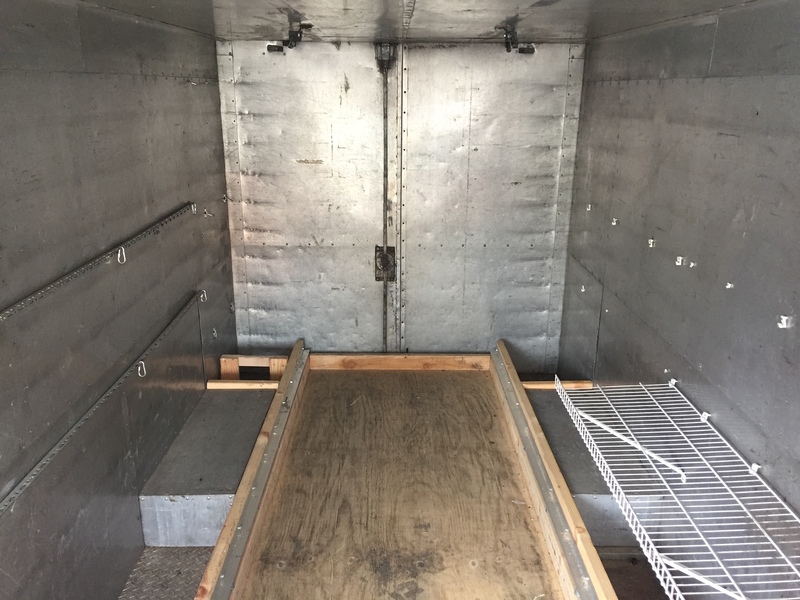 The cargo area, however, is potentially a blank canvas totaling 72 square feet (or 438 cubic feet). It has some broken shelves and a giant wooden sled that pulls out on ball bearings to service the local Farmers Markets. While I built hundreds of models as a kid, I’ve never restored or customized a real vehicle. But what can possibly go wrong, right? I’ll update this as the project progresses, so stay tuned!